Ahead of Horror Channel’s UK TV premiere of REDWOOD, director Tom Paton reveals the secrets of his prolific work-rate, talks about tackling the subject of fake news and the twists and turns of his new film Stairs. REDWOOD gets its UK TV premiere on Fri 8 Feb, courtesy of Horror Channel. Excited or what? Honestly, I’m so proud that Redwood has made its way onto Horror Channel. I’ve been a huge fan since the channel launched and over the past decade I’ve discovered so many horror gems on there from classic through to films I’d never heard of but now love. It feels incredible to know that someone might discover Redwood in the exact same way. Is it true you wrote the script in two days? It is, although I wouldn’t recommend that as it caused me some serious stress. The production company had a very limited window of time to use the funds and location that the film was made on, so if we were going to do it then we had to move quickly. It was a real challenge to craft something at that speed that I was going to be proud of so I focused in on something that felt very real and tangible, but was happening within this world of vampires. The film is one of the lowest-budgeted to grace opening night at FrightFest. How did you pull that off? I have absolutely no idea how that happened! I was so blown away to find out that the movie was going to be playing at FrightFest that I had to pinch myself. I fully expected for us to be one of the more low key films, tucked away in a corner somewhere. When the programme was announced and we were one of the opening night films I had to pick myself up off of the floor. FrightFest has been the most incredible platform for my career and the spotlight it placed on Redwood. It’s a debt I can never repay. Black Site (my third feature film) played at the festival the following year and I’m hoping that it’s a relationship that will continue for many years to come. Although the vampires are ever-present, the film is very character-driven. Was telling the very touching human story your main priority? I’m as much a fan of a good jump scare as any modern movie watcher, but I do think it’s a very overused technique these days. I felt that because the film was being made in this high-speed, low budget fashion, that it allowed me to make something a bit more restrained and character focused. Humanity is this strange, beautiful, scary thing and I really wanted the real horror to stem from something that we’ve all had an encounter with in the real world - cancer. The vampires are forever lurking just around the corner just like the illness and as a viewer you aren’t sure when or how they will strike, or if they will at all. But it’s that constant fear of them that I think plays as a strong external metaphor to what Josh and Beth are going through personally. It’s more of a tragedy than a straight horror film I think. You shot the film in Poland. Why? We made the film with a Polish based production company, and it was really them that were the driving force behind the location choice. But I have to say, I would shoot in Poland again in a heartbeat. They have these huge, forest covered mountain ranges that really stood in as a good substitute for the USA and the crew over there were such a pleasure to work with. The cost effectiveness of shooting in Poland really helped us maximise the budget too, which is why I think the movie looks like it really escapes the trappings normally associated with a lower budget. Mike Beckingham, who stars in REDWOOD, also has a main role in your film BLACK SITE. What makes your working relationship so special? I didn’t know Mike before we shot Redwood but I could tell from our first meeting that me and him were going to get along well. He’s a really charismatic presence to have around and filmmaking can be such a tough experience sometimes that having him on set becomes this really positive force creatively. We became really good friends during production and I started to feel that I could write something that would really play to Mike’s strengths as an actor and so I wrote the part of Sam Levy in Black Site specifically for him. Hopefully we’ll finish our little trilogy together very soon with something new. What is it about the genre that most appeals to you? Horror just gels so well with different types of storytelling. It’s one of these rare things in the medium that plays well with others, so you can partner it with comedy, tragedy, action etc and allow yourself this ability to remix things you love into something new. No other genre really affords that same creative freedom. 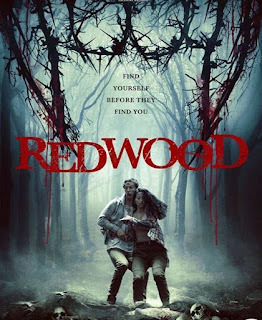 Redwood is a prime example; although the container is horror, under the hood it has comedy, cancer and character driven drama…no other genre would be able to support those tone shifts except horror. You’re renowned for your prolific work-rate. You currently average a film a year and the quality is impressively consistent. What’s the secret? Caffeine! But seriously, I’m just very good at approaching my career with a sense of momentum. I think as filmmakers we work so hard to build hype around ourselves and our projects that I see it as a waste to let that dissipate once the project is complete. So I’m just very focused on keeping the party going. This year I’m actually doing two movies instead, as well as having an animated adaption of Black Site in the works. I love what I do and only intend on speeding up really. Your next feature, STAIRS, is currently in post-production. 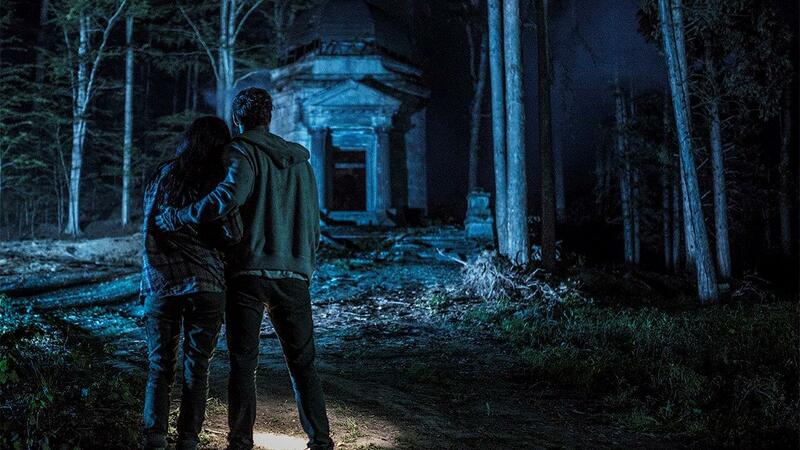 Can you tell us a bit about the supernatural thriller? What are your current plans for the film? Stairs is a totally different beast to anything I’ve made before. 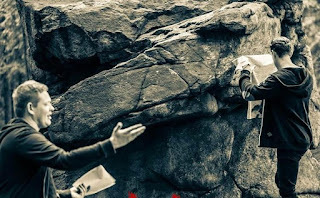 It’s an ensemble film this time and really ramps up the action and horror elements from my previous movies. It’s also a bit of a head scratcher. I’ve always focused on very linear storytelling and creating character focused stuff, but with Stairs I’ve changed that up and made something with a lot of twists and turns that features a huge dose of time-travel. I’m very excited for people to see it. The premise is that a team of special ops go into a war zone they aren’t supposed to be in. They carry out their morally dubious orders and then find themselves trapped in an Escher-esque nightmare as the universe forces them to own up their sins. I won’t give anything else away though! You’re shooting a big budget space film shooting in 2019. What more can you tell us? The movie is called G-LOC and is indeed set in space. There’s a lot of world building going on and i think we’ve created a really fun action adventure movie that sci-fi fans are going to love. Keep your eyes peeled for news on this one. We also hear you have got another horror film planned for July 2019. True? That is true. I’m tackling the subject of Fake News in a horror movie called The Manuscript. The story straddles two timelines and deals with a mysterious book that has evaded translation for sixty years and is steeped in mythology and murder…but is everything as it seems? You’ll find out after I shoot it! Finally, Tom, when are you taking a break? I might have a holiday this year, we’ll see if there is a little gap in there somewhere. REDWOOD has its Channel premiere on Horror Channel, Fri Feb 8, 9pm.